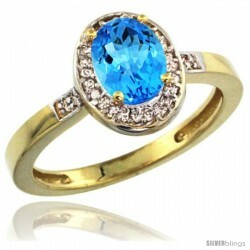 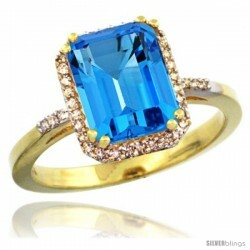 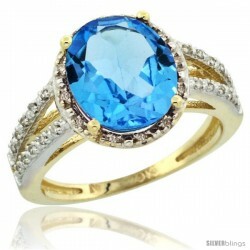 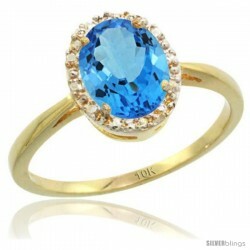 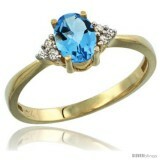 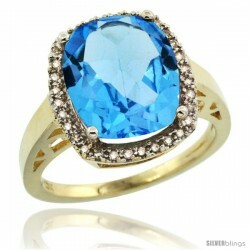 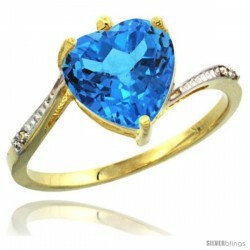 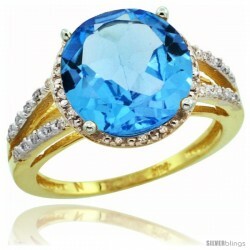 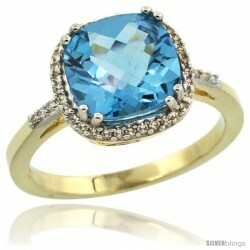 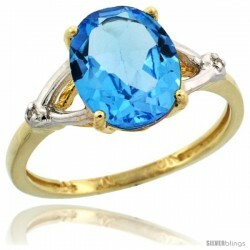 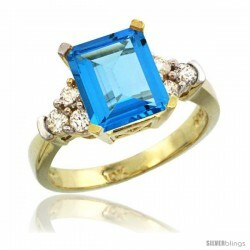 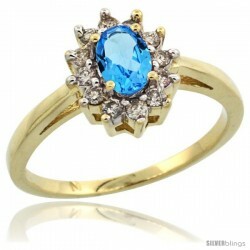 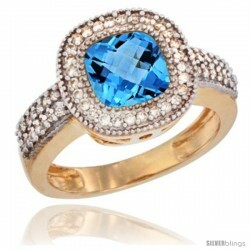 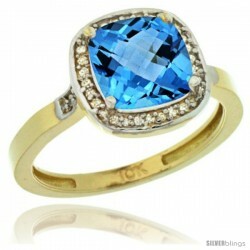 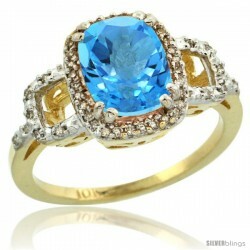 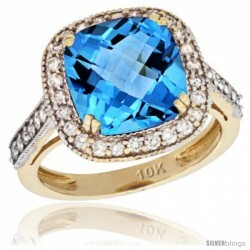 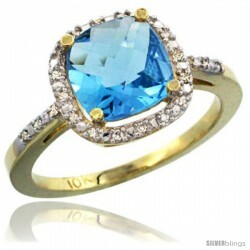 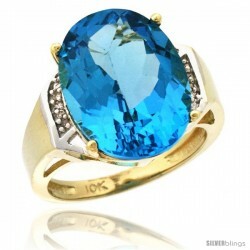 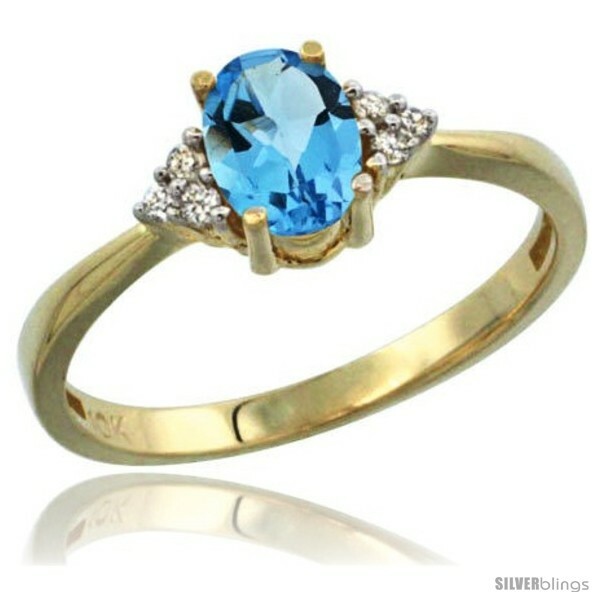 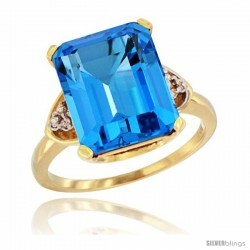 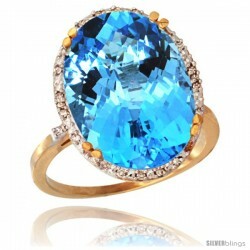 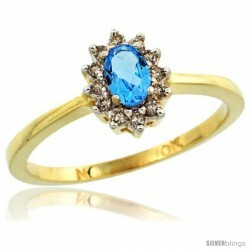 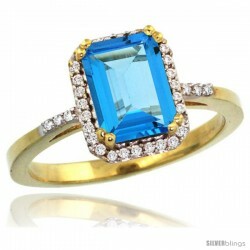 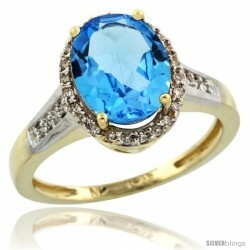 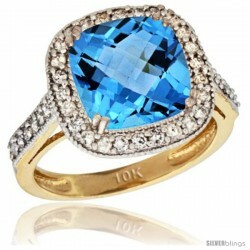 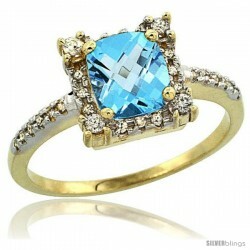 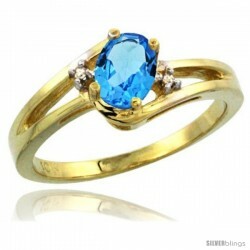 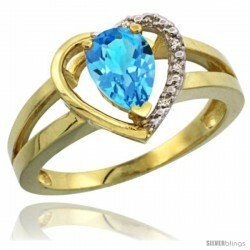 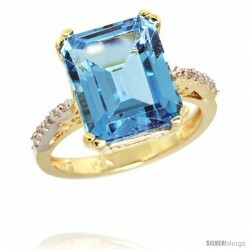 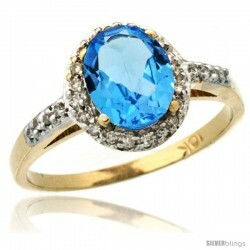 This gorgeous and classy Swiss Blue Topaz Ring made with 10k Yellow Gold is stylish and sophisticated. 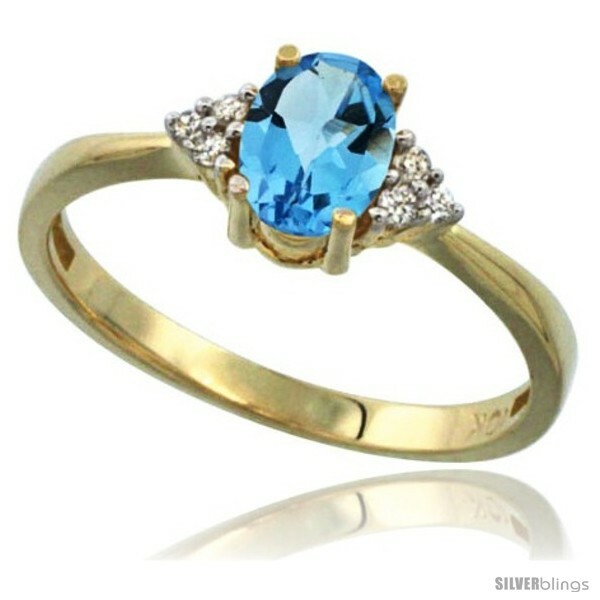 This stunning ring is made of 10k yellow-gold centered with all-natural, carefully-set Swiss Blue Topaz stone accented with 3 Sparkling Diamonds on each side. 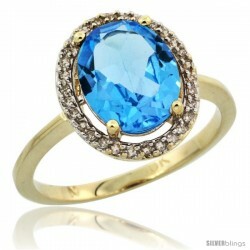 Perfect for special occasions.